China has embarked upon a five-year plan to encourage the use of open source operating systems and software. To facilitate this initiative, China is working to build a home-grown Chinese developed version of Canonical’s Ubuntu to be labeled Ubuntu Kylin. NOTE: Unconfirmed reports suggest that the name Kylin comes from the Qilin mythical hooved Chinese chimerical creature believed to appear with the imminent arrival or passing of a sagacious or illustrious ruler. The China Software and Integrated Chip Promotions Centre (CSIP) will base the new reference architecture for Ubuntu Kylin on Canonical’s Ubuntu. The aim to is to now work on the development of a China-focused version of Ubuntu for desktop and cloud. CEO of Canonical Jane Silber has said that the project will bring local investment and participation to ensure that the platform is relevant for the Chinese market. “Close coordination with the global Ubuntu project [will] ensure that it is familiar to software and hardware vendors — and useful for export products made by Chinese companies as well,” said Silber. Kylin will take a particular approach (i.e. different to Ubuntu) in its usage and treatment of Chinese characters and date conventions. 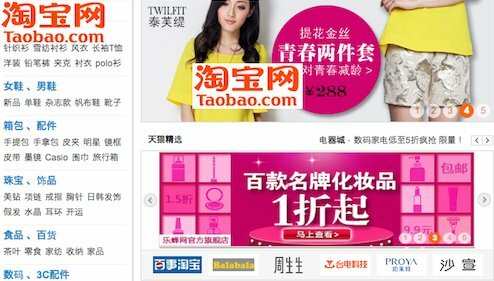 Chinese websites includingas Baidu maps as well as the Taobao shopping service. The project exists as part of a wider move by China to decrease its reliance on Western software and process management technologies. The Ubuntu Kylin team is also said to be cooperating with WPS, the most popular ‘Office’-style productivity software suite in China – this effort is hoped to help create photo editing offering and system management tools which could be incorporated into other flavours of Ubuntu worldwide. “The release of Ubuntu Kylin brings the Chinese open source community into the global Ubuntu community,” said Mark Shuttleworth, founder of Ubuntu and Canonical. "The Ubuntu Kylin team is also said to be cooperating with WPS, the most popular 'Office'-style productivity software suite in China - this effort is hoped to help create photo editing offering and system management tools which could be incorporated into other flavours of Ubuntu worldwide." Yes, I use their KingSoft office on Android & love it. I will be very happy if it comes to Linux.